"When it comes to music at weddings, I’m not trying to reinvent the wheel, I’m just trying to give it a new spin. 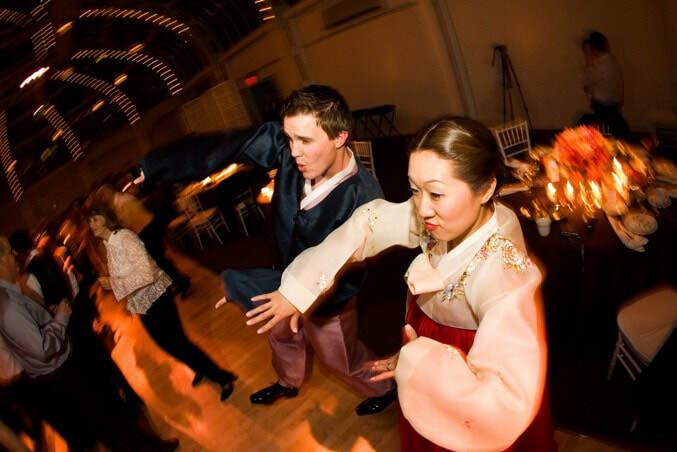 Everyone has different musical tastes, and a wedding should reflect that. A wedding isn't about playlists and cookie-cutter programing. Every event I spin is as different as night and day. It's all about being in the moment, with the right songs, at the right time. Organic. I always tell my brides and grooms, never ask a DJ for a sample of their work, as it will tell you nothing you need to know. The only thing you will learn from a demo/playlist is what happened at another event that has nothing to do with you, or worse...this is the 'format' for every event. I was a DJ at many of the major clubs in Manhattan over the years, sometimes, spinning for a thousand people a night. That experience has given me the musical knowledge to shine at all my private events... knowing what works, and what doesn't. I believe, it's all about conversation, and working together to achieve an awesome party. The goal is to make sure all your guests are having a fantastic time, and no one feels left out. This is your big day, and a great wedding DJ should curate the evening around your personality, not the other way around. If music were designer clothes, it would be all about 'couture' for a wedding, not 'off the rack'. I love that my couples put their trust in me, and I always have their back. I believe every bride and groom should have their own personal signature on their wedding, and working with you, I'll curate a flow that is unique, special, and most important ... lots of fun!